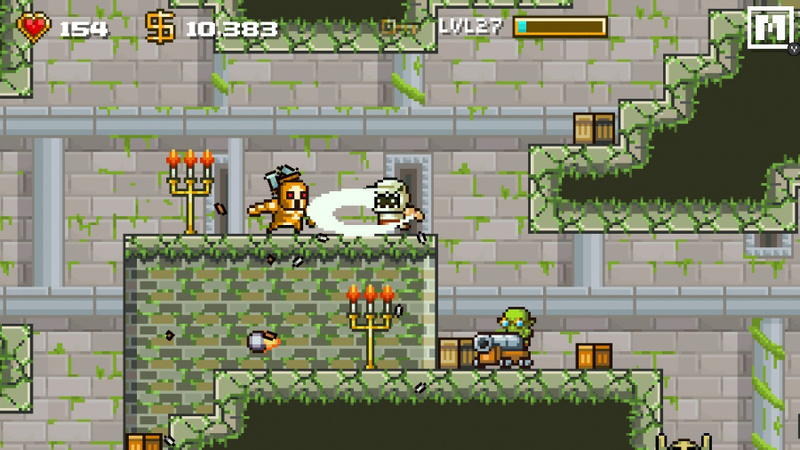 Devious Dungeon's gameplay formula is relatively simple, find a key to the next floor of each stage and exit all while trying to survive, every few floors will have a rest area with a shop and a healer to heal your health for a nominal fee. 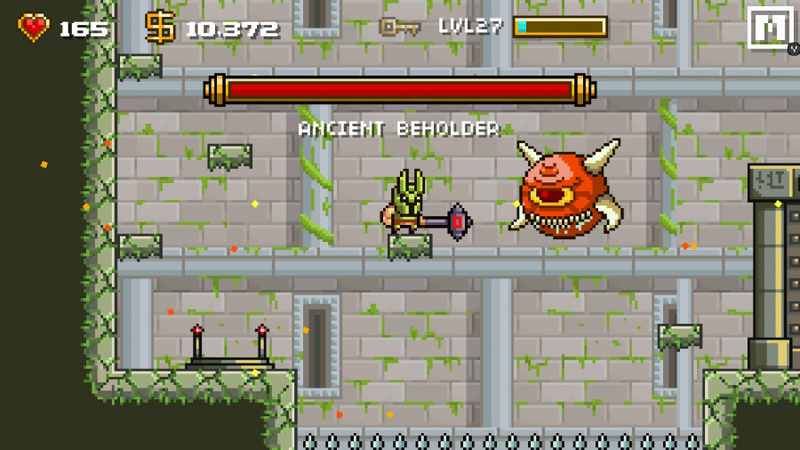 Once you've progressed a bit you will take on the area's boss which is much more challenging than any normal enemy in the game and will require at least a bit of strategy to defeat. The floors have a bit of random generation, however the number of layouts are pretty limited so expect some repetition. The difficulty level is somewhat easy and the game's platinum trophy is a cinch to earn and can even be earned twice courtesy of the Vita version which is included via crossbuy making this a perfect game to farm gold, silver, and platinum trophies for your Sony Rewards account! 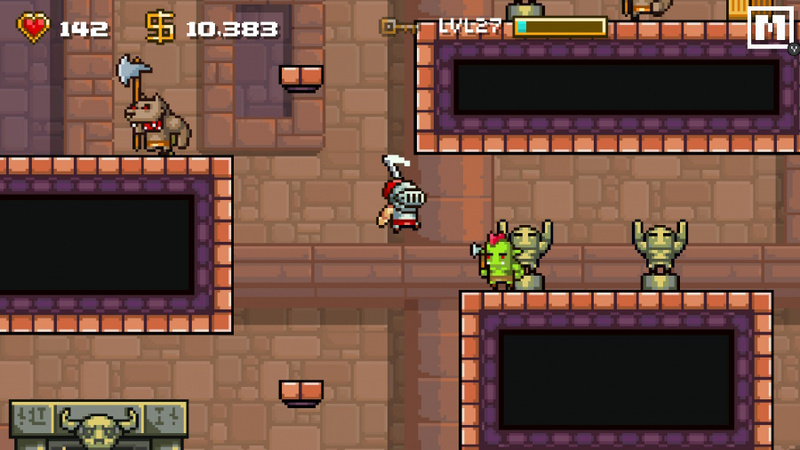 The controls in Devious Dungeon are easy to learn and almost as easy to master. You'll hear no complaints from us in this regard. The audio-visual presentation is also quite solid with decent retro-style graphics and a soundtrack that is solid albeit fairly forgettable. With solid gameplay, intuitive controls, and a decent audio-visual presentation, Devious Dungeon is a decent budget title that most people should get a fair bit of enjoyment out of, however the game fails to live up to its potential which is a shame as the game could have been fantastic if only it had a bit more depth to it. 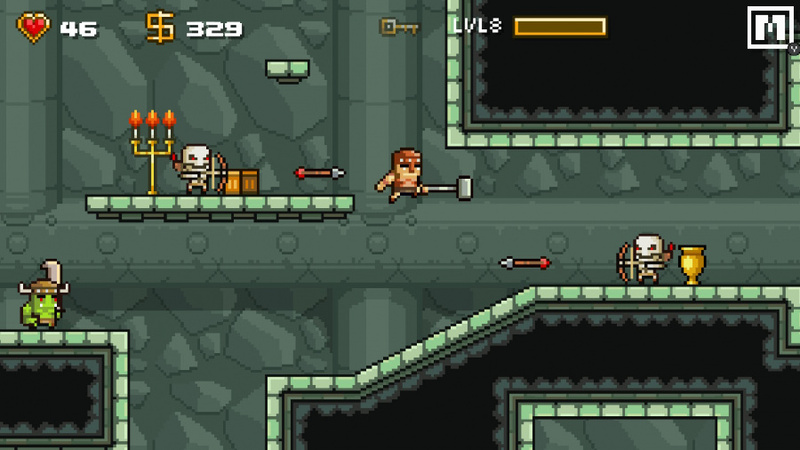 Regardless we give Devious Dungeon a decent to solid level of recommendation! Nice review as expected boss! Good review, but a bit short. You seem to revert back to your to-the-point short reviewing style everytime you start publishing more reviews.